Hello, Friends. It's time to make more masculine cards for my stash. For the PDE Linky Challenge this week, it's "anything goes." 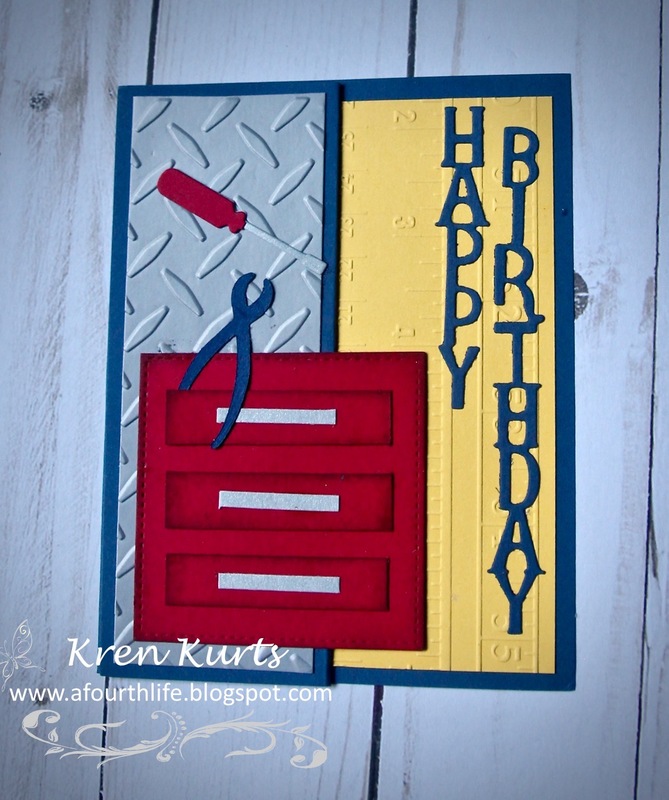 So here is my take on a tool box card with bright, primary colors for someone special I know. I think the embossing folders and die cuts just make this card! Join us this week! Kren - this turned out sweet! Like the layout very much! I do love tools ... so fun. What a fabulous masculine card! Thanks for stopping by my blog and following me. I am already a follower of yours but I had lost track of your fantastic blog and artwork so glad you left me your blog address!